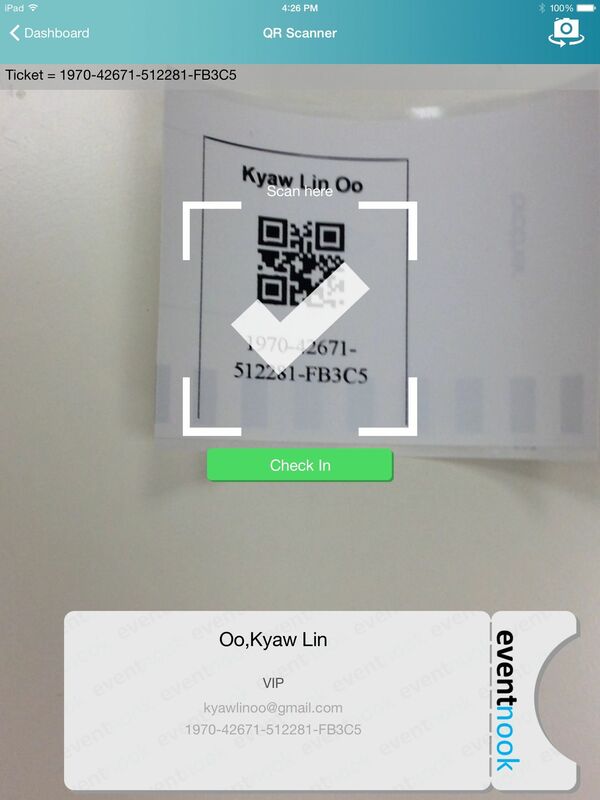 With the eventnook application on iPad, event organizers now can easily check-in the attendees on-site, and scan QR codes e-tickets to register the attendees on the event day. 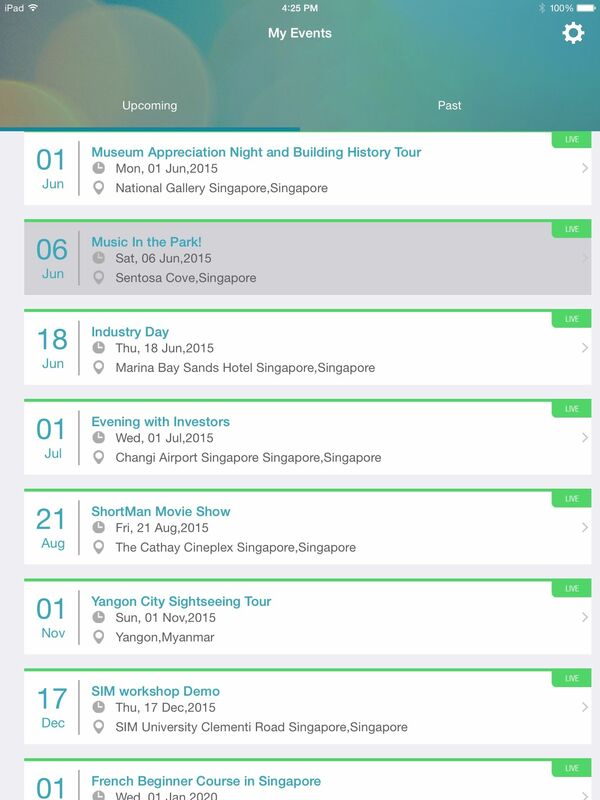 In the eventnook application, you will be able to view the list of upcoming and past events you have set up with eventnook. Click the event to enter the event dashboard page. 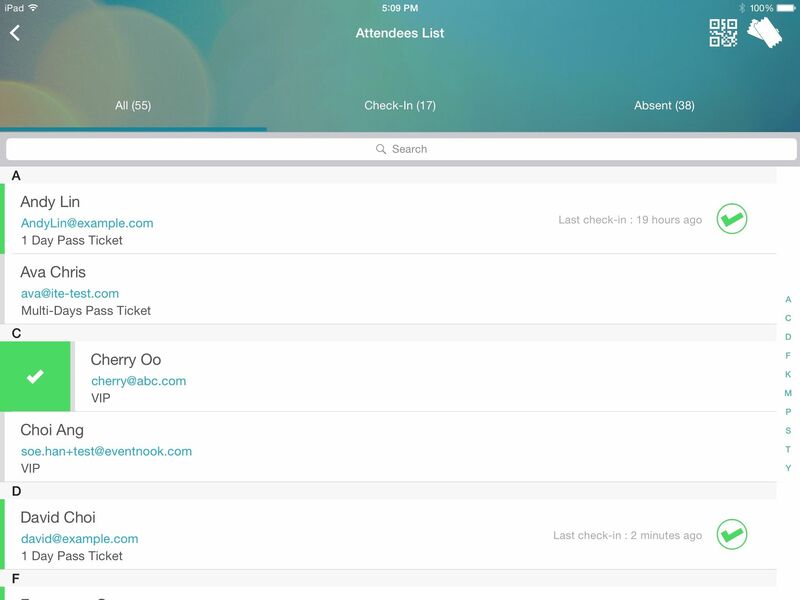 The following screenshot shows an example of the event dashboard displayed in your an eventnook application. Brief event details such as date, time and location of the event will be shown, together with a summary statement of the number of attendees who have registered, checked-in or absent. 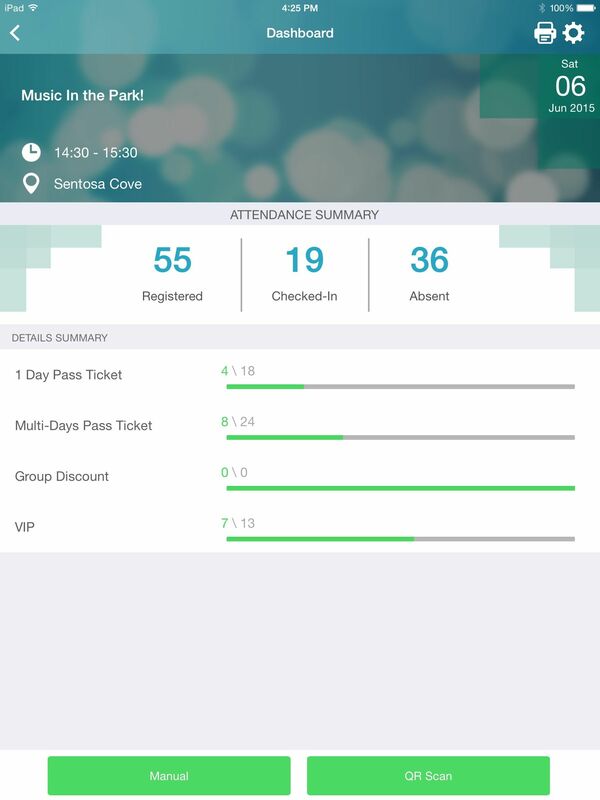 The Details Summary shows the (checked-in number)/(registered number) for each ticket type. Go into the list of attendees for the ticket type. Slide the name of the attendee that you would like to check-in the the right. Tap the tick shown on the left-hand side of the name. Go to the “QR Scan” page. Align the QR code so that it can fit into the square bracket. The QR-code will be scanned. Click “Check-in” to complete the process.